The Invacare Mirage is a combination of aesthetics and the latest design principles that offer a modern look as well as a safe and stable drive. 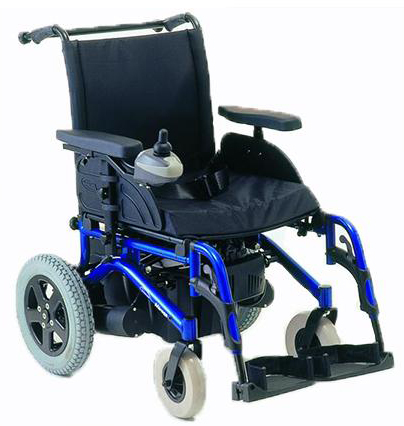 Manoeuvring the chair is extremely easy and accurate, especially when in compact or confined spaces. The Mirage is very easy to fold for transportation. The split battery boxes simply slide out, avoiding an awkward lifting position. A unique “seat clamping system” rigidizes the chair during driving but releases with ease when folding the chair. If required the backrest can be easily removed by loosening two hand wheels.